Over the last few days us Brits have been putting up our union jack bunting, dusting off our royal memorabilia and picking up our flags, ready to be waved enthusiastically. All of this is in honour of Queen Elizabeth II’s 60th year on the throne, which is no mean feat as Liz is only the second UK monarch to have reached the 60 year mark in British history. 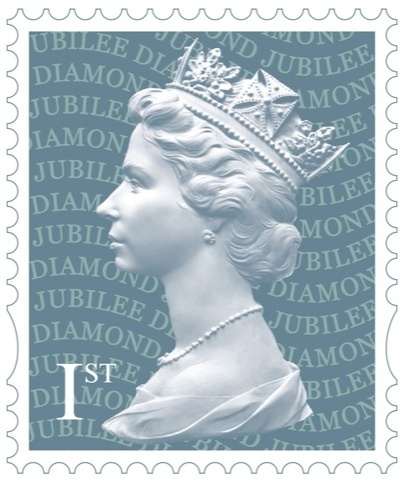 Whether you are a Royalist, Republican, British, non-British or just generally not fussed about the Monarchy you cannot deny that the Jubilee is worth celebrating and many British brands are joining in on the celebrations by either releasing jubilee themed limited editions, or even rebranding/redressing their products in jubilee livery (my favourite being Ma’amite) to honour such an important occasion. Venerable British perfume house Grossmith are just one of the many perfume houses releasing celebratory jubilee fragrances (others include; Floris, Roja Dove and Bond No. 9) and it’s not the first time they have done so, having created Victorian Bouquet for Queen Victoria’s Diamond Jubilee in 1896. Now it’s Liz’s turn! Grossmith’s Diamond Jubilee Bouquet, a limited edition of 500 pieces, is described as “a subtle combination of flowers from Her Majesty’s Kingdom”, a “floral tapestry [that] embodies understated sophistication and warmth”  and for each bottle sold a donation will be made to The Queen Elizabeth Diamond Jubilee Trust. You may celebrate with a conscience! Diamond Jubilee Bouquet is a soft, powdery floral oriental in the classic style. It opens with a rich cocktail of heady florals lightened by a sprinkling of citrus. Spicy carnation, and deep, dark rose form the main structure of the opening accord upon which the other notes hang. The rose has a vintage feel to it, and notes of hawthorn and narcissus intensify this old-school feel giving the composition a touch of 50s glamour. The heart of this Bouquet is a blend of creamy white flowers and sweet, nutty violet. It is a relatively subdued blend that is neither showy nor pretentious, which fits in with the fragrance’s overall feel of refined class and beauty. I guess that when you’re Queen you don’t need to have a showy fragrance, not with all of your resplendent fineries such as crowns, sceptres and shiz. Seamless is the transition from the heart to the base, with the flowers slowly fading to make way for a warm, cosy base of vanilla, amber and musk. “Soft” is the key word here and the rich balsamic notes, whilst cosy and fuzzy, give Diamond Jubilee Bouquet a somewhat masculine edge that is only seen in classic feminines such as Shalimar and fragrances of that ilk. A tiny touch of spice from the carnation remains right until the end and it gives the base a somewhat contemporary feel. As Suzy Nightingale noted in her piece for Fragrantica; “it’s [Diamond Jubilee Bouquet] certainly no museum piece” and I whole-heartedly agree, Diamond Jubilee Bouquet has a vintage feel to it, but it is not staid or old fashioned and I find it to be incredibly wearable. Diamond Jubilee Bouquet is a very lovely fragrance but I wouldn’t call it beautiful and it certainly isn’t a masterpiece. It is however, a fitting tribute to a Queen who has served The Commonwealth for over half a century, as well as being an apt fragrance for someone of her age, stature and character. If you’re looking for a nice, spicy floriental then Diamond Jubilee Bouquet is worth a try, but look for it quickly before all 500 bottles are snapped up. 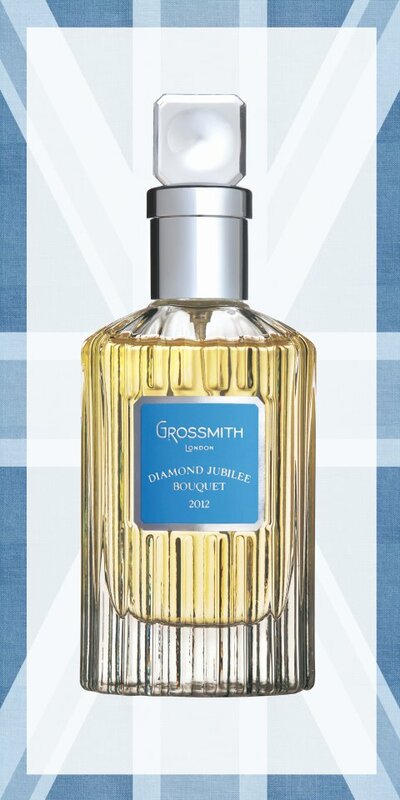 Diamond Jubilee Bouquet is a limited edition of 500 bottles and is available in 50ml Eau de Parfum for £175. It is currently available from Roja Dove’s Haute Parfumerie, Fortnum & Mason and Les Senteurs. Image 1 designweek.co.uk. Image 2 facebook.com/grossmith. Grossmith Facebook page. lessenteurs.co.uk. fragrantica.com. Posted in Feminine, Floral, Grossmith, Limited Edition, Oriental, Perfume Reviews and tagged British Royal Family, Diamond Jubilee, Diamond Jubilee Bouquet, Elizabeth II, Grossmith, Monarchy, Monarchy of the United Kingdom, Perfume. Bookmark the permalink. Hmm, interesting… I quite liked Betrothal last year for the very fact that it was less Grossmith-y than usual – the original trio was a bit of a sneezefest to my nose. This sounds as though it might also be more accessible. A good direction for the company to go in, because I think it is possible to build on your heritage as a perfume house, yet move gently with the times. I have to admit that I’m a complete Grossmith newbie, not having smelled the others, but I agree it’s important to move with them times whilst still being true to your heritage. Like you I’ve ignored Grossmith but DJB came as a nice surprise. It would be worth getting a tiny sample. I’m fascinated by the Grossmith line, though I haven’t had any occasion to try them. This one sounds nice. Thanks for reviewing it! No problem. I’m definitely intrigued by the others now that I have tried DJB. I think this is the first Jubilee-related thing that I haven’t been jealous of, as it doesn’t sound my cup of tea. But, I do so wish we had a queen! We will happily lend you Liz for a small fee. Just make sure that you have stocked up on tea, gin and corgis before taking her!